tonight i had a great time celebrating the take over of converse in hong kong, now what that means is, for the longest time, converse has been operated by a distributor in hong kong for years, and this upcoming year 2013, will the the time that converse headquarters takes back the operation, and yes tonight was the dinner party to celebrate that. many familiar faces from converse and their working partners was present….here is Morgan giving the lowdown about the strategy behind everything. now you may be thinking, what does this have to do with me as a sneaker lover, or consumer. the answer is simple, more resources put in this market, means more cool parties, events, music, lifestyle things to draw you closer to the converse brand, having a presence in HK means more lovely special projects and interesting things coming out of the converse camp. everyone attentively listening to what they have to say, matched with a great powerpoint that i couldn’t see. like every converse event, they have little touches that are carefully put together that make it inherently very converse and its the small touches that really make converse such an amazing brand and company, warm and great, and really truly amazing. 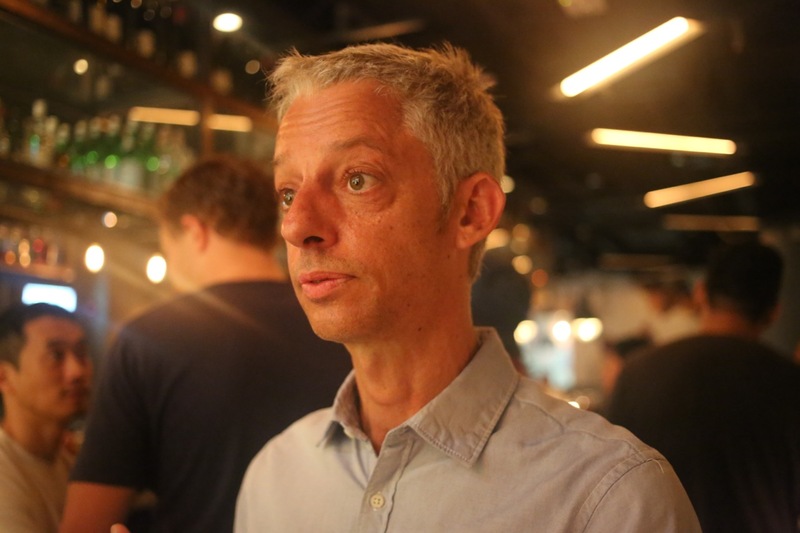 here is the man of the hour, Ian Stewart, the man who used to be the head of marketing in greater china and south east asia, has now just become the global head of “jack purcell” well thats after he goes on a 3 week vacation…. all the best to you bro! if anyone is really reading this, don’t forget about the poloroid idea i had,,,, give it some thought guys!